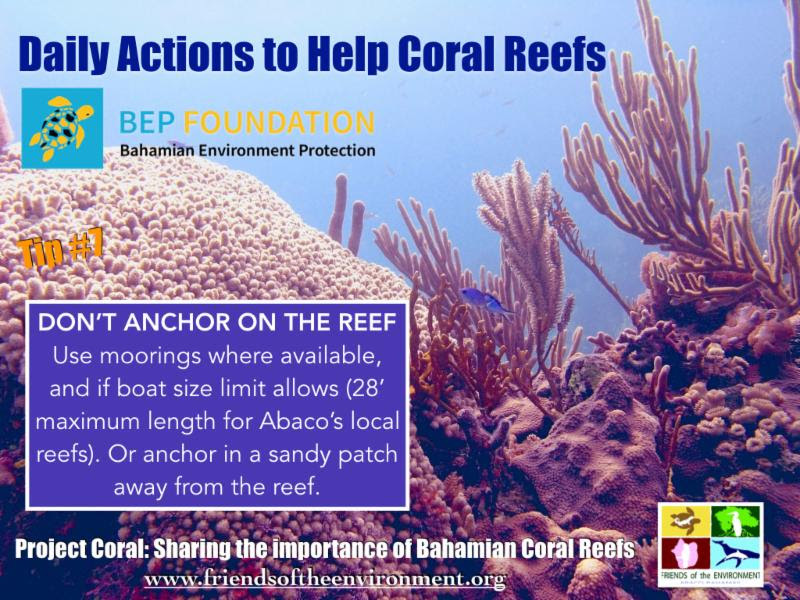 I am thankful and encouraged by the support for FRIENDS at our two Reef Ball events, and beyond. We met, and exceeded, our matching challenge goal! Thank you to the Devereux Ocean Foundation for leading the challenge and for all of you who heard our call. We truly appreciate you; not only have you been generous in your donations, we are inspired by your encouragement and that you share our vision of a sustainable future for Abaco. Through your support FRIENDS is dedicated to continue to work on positively impacting Abaco's environment by extending our programs to reach more Abaco communities and raising awareness to create the behavioral change needed to make conservation and environmental protection of our amazing island home a daily habit. 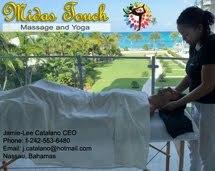 Thank you for being a part of our team and helping to make a difference in Abaco. We could not do all that we do without your continued support. Stay tuned to hear more about how we will be implementing our strategic plan this year. FRIENDS just completed another phase of B.A.M. 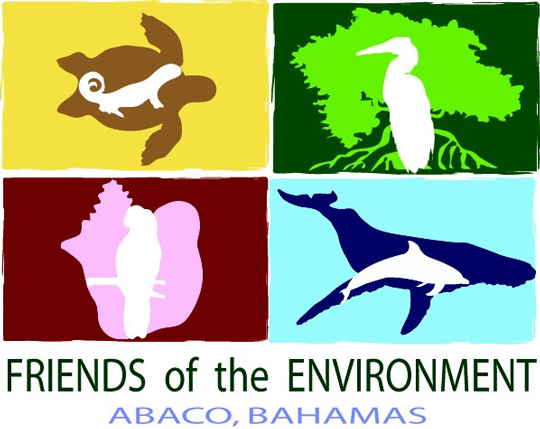 (Bahamas Awareness of Mangroves) with Amy Heemsoth from the Living Oceans Foundation. 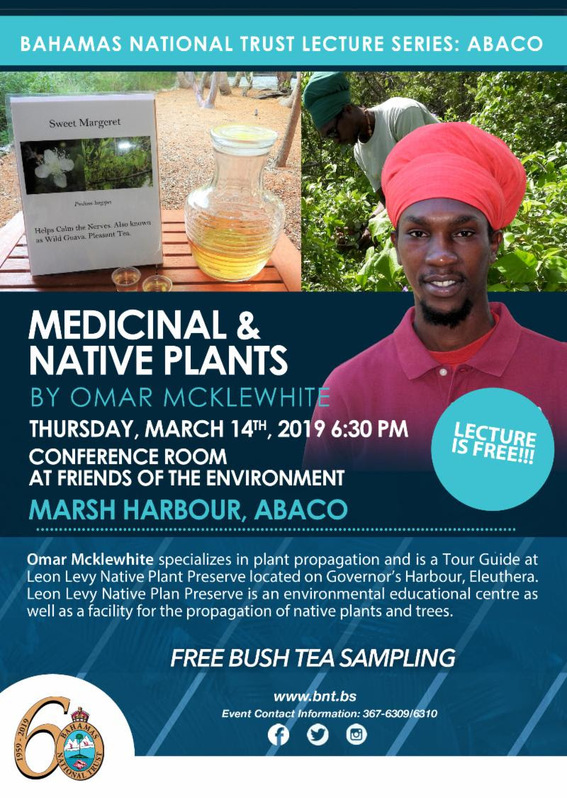 This program involves grade 10 and 11 students from two schools in Abaco, Patrick J. Bethel High School and Forest Heights Academy, with the purpose of raising awareness on mangrove conservation and ecology. Three out of the four classes that we engaged with had marine invertebrates brought to them in a touch tank that they were able to interact with, such as sea stars, sea cucumbers and sea urchins, to get an idea of some organisms that live in the mangroves. These animals were returned to where we collected them from shortly after. 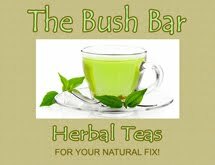 It was another successful program and we will welcome Amy back sometime in April or May to complete phase 3 with the same classes. 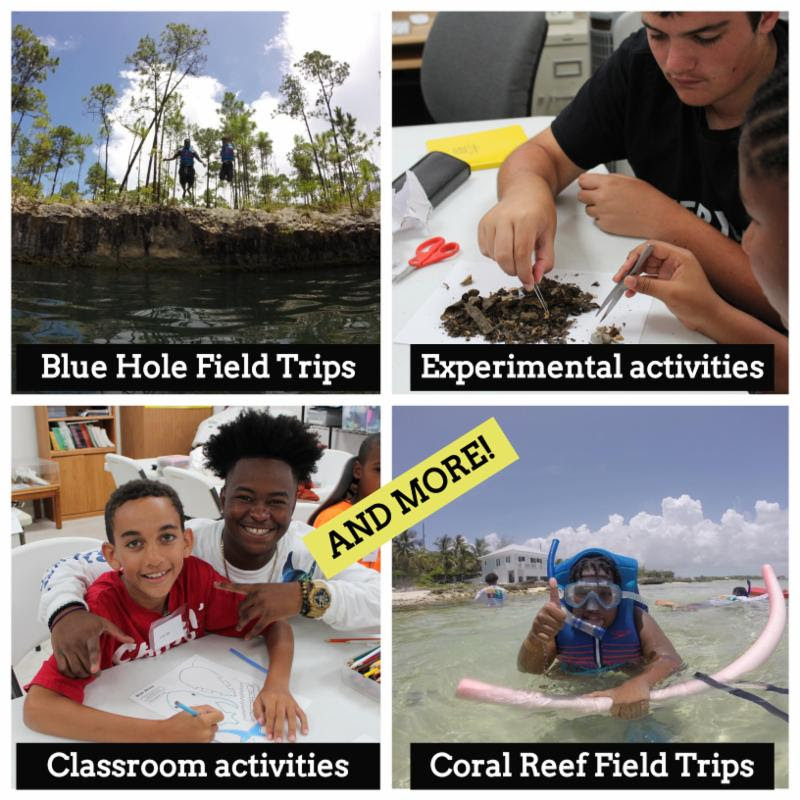 Students from Patrick J. Bethel High School and Forest Heights Academy interact with marine invertebrates in their classrooms. February proved to be a busy month with field trips to the mangroves, a coral reef and a rocky shoreline! Long Bay School explored the mangroves at high tide, learning about the 4 types of mangroves found in The Bahamas and other flora and fauna in the ecosystem. Grade 12 students of Forest Heights Academy took a plunge into Mermaid Reef and saw many species including parrotfish, sea cucumbers, sergeant majors and more. Every Child Counts explored a rocky shoreline and saw chitons, a sea anemone and sponges. It has been a great season of field trips thus far. We are looking forward to more! If you would like to sign your school up for a field trip or presentation, please contact our education team. From left to right: Long Bay School exploring the mangroves, Forest Heights Academy after their snorkel to Mermaid Reef and Every Child Counts learning about a rocky shoreline. FRIENDS had the opportunity to do some presentations around the island this month. Our education team participated in the Career and Technical Education (CTE) Career Fair, where they spoke to over 100 students about different career opportunities in science and conservation. Our team also traveled to Cooper's Town to visit S.C. Bootle High School to give a talk about FRIENDS and what we do, which lead to scheduling a school-wide clean up with students from S.C. Bootle for next month. FRIENDS was also invited to speak at the Parent Teacher Associations' (PTA) meeting for Long Bay School about "Project Coral". Here, they discussed efforts of the project, and how we are fulfilling it via classroom presentations, field trips and the building of coral tree nurseries. 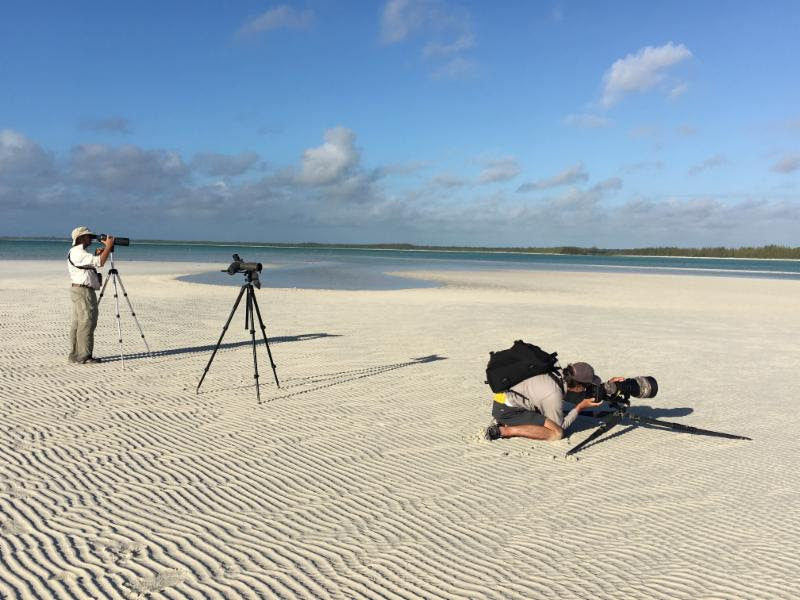 In mid-February a small team of researchers from the U.S., including Todd Pover, from Conserve Wildlife Foundation of New Jersey, and Walker Golder and Matt LaBarr, representing the National Audubon Society, who organized this expedition, spent a week surveying for piping plovers on Abaco. A large number of piping plovers, an at-risk listed species in the U.S. and Canada where they breed, spend their winters in the Bahamas, including at least 200 scattered across Abaco. Annual winter surveys have been completed here since 2011, the early years were spent locating feeding and roosting locations where they tend to congregate, and identifying important habitat, while more recent surveys have focused on band resighting to help researchers learn more about survival and movements along the migratory flyway. Surveying for piping plovers on the low tide flat at Casuarina Point, one of the favorite locales for plovers on Abaco. From the auction at the dinner table to the entertainment on the dance floor, Marsh Harbour Reef Ball was one for the books. Guests were welcomed for cocktails and to start the night off with our silent auction, and then seated to enjoy a lovely meal during our live auction. Everyone danced the night away under the stars on the outside deck of Da Blue Hole to the sounds of "Suppa Time", ending the night with a celebration! Thank you to David Thompson at Da Blue Hole, our auctioneer Michael Albury, and all of our guests, volunteers, and community supporters who made this night possible. Guests gather round to bid on silent auction items before dinner, then enjoy our volunteers modeling our live auction items as they bid. 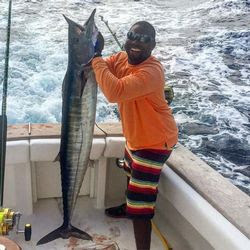 Errol Thurston Jr., a local businessman of company "Errol Thurston Bahamas", has been leading Abaconians in community and coastal cleanups during the month of February. 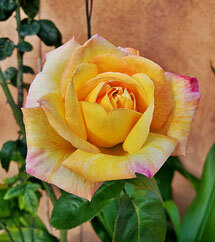 Thurston is a well-known boat captain, specializing in excursions such as boating, spearfishing, diving and more. According to the most recent publication from local newspaper "The Abaconian", Errol, or "Lil T" as he is affectionately called, came up with the idea to do island-wide cleanups while he had spare time due to bad weather. 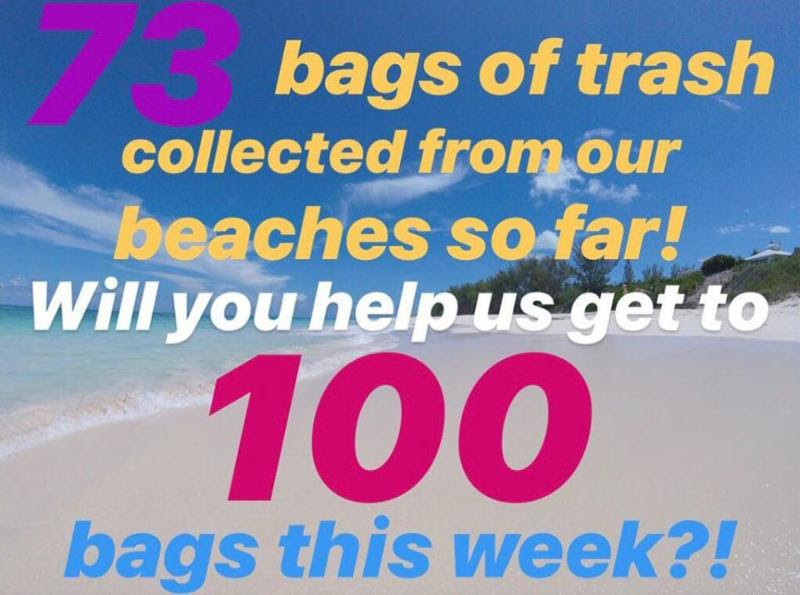 From this, he has led a variety of cleanups around Abaco, some including Baker's Creek and Tilloo Beach. With the help of his family leading this cause with him, as well as community members, over 100 bags of trash have already been collected. Errol would like to encourage everyone to join the effort as he believes in the importance of a clean and healthy environment. FRIENDS would like to say "well done" to Captain Thurston and his team for their passion to raise awareness on pollution, their hard work, and community involvement in the matter. 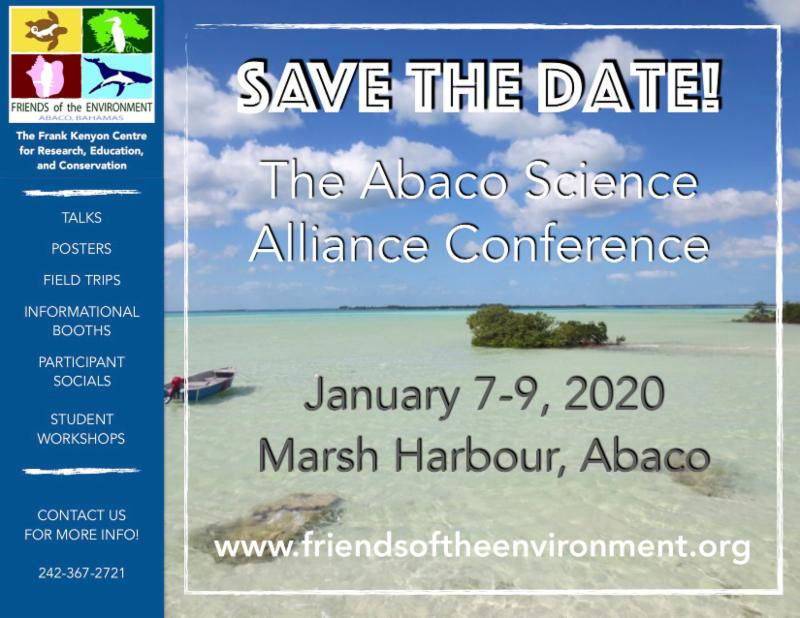 Let's keep Abaco beautiful together! Follow his Facebook page to learn more about what he's doing. anchor away from the reef. 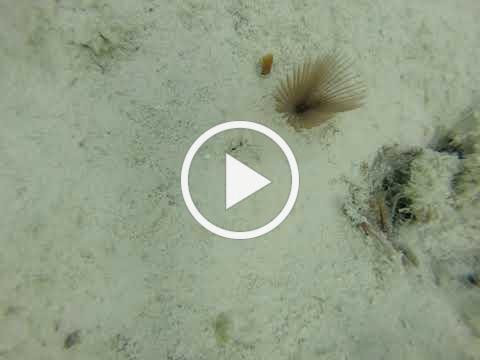 Often mistaken for a marine plant, these fan worms are very unique to the marine environment. As filter feeders, they play an important ecological role in the marine environment, helping to maintain water quality in its surrounding area. Worms in this particular species are called "tube-dwelling worms" because of the parchment-like tubes that they live in. These tubes are created from a combination of sand, inorganic material and secretion from the worms. Getting too close to them will result in the worm retracting itself into its protective tube, as seen in the video below.